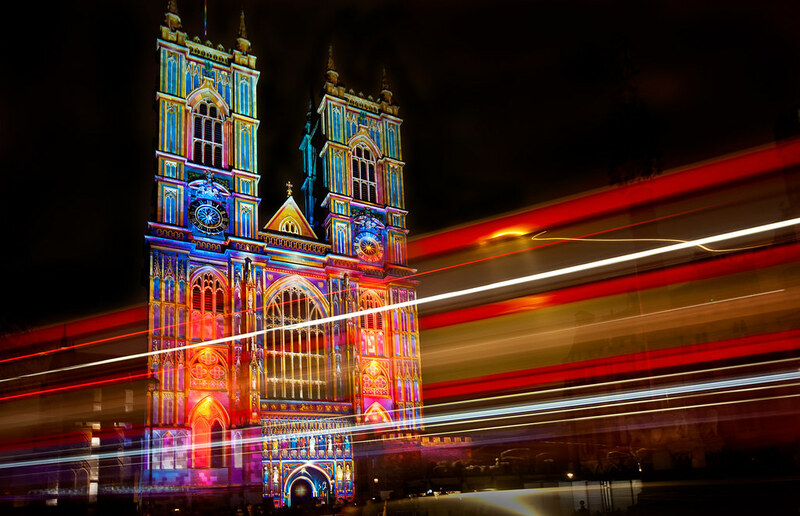 This was the highlight of the London Lumiere festival for me. The bright, changing colours on the facade made the sculptures and intricate design feel almost “alive”. After trying to get a picture with the crowds at the entrance, I crossed the road, stuck the camera in between steel rods of a road sign and got long exposures with the iconic London Bus light trails. Glad I didn’t lug a tripod as I was able to make use of other objects to stabilize the camera – not ideal for composition but much more easier on my shoulder!